Becoming a parent can provide some of the greatest rewards in a person’s life. It can also present some of the biggest uncertainties and challenges. Still, there can be no doubt that a person’s life is never the same after becoming a parent. There can also be no doubt that raising a child is expensive. The U.S. Department of Agriculture’s “Cost of Raising a Child” study estimated that two-parent, two-child families earning between $59,200 and $107,400 annually would spend about $12,980 each year on each child. So working parents, including entrepreneurs, organization leaders and company executives, find themselves in a quandary. How does a person meet the important need to spend quality time with his or her family and manage to make a living and grow a company at the same time? According to business owners across Indiana, there’s no simple answer for creating a reasonable work-life balance, making time for their kids and one’s significant other and keeping a company afloat. Being both a parent and a business owner is definitely possible, they say, and it can even be a benefit. Just don’t expect to have a lot of free time. Tammy Butler Robinson works tirelessly. In her many positions in the public and private sectors, she has faced long days and many headaches. But her only option has been to work harder, because she knows her two sons, Myles Robinson and Brian Robinson Jr., depend on her to succeed. Butler Robinson started her tenure in Indiana government as a policy analyst for the Office of Medicaid Policy and Planning, and after many years and multiple promotions, she ended her time in the public sector as a fiscal analyst for the Indiana General Assembly Ways and Means committee. Then she started a company, Engaging Solutions, with three other business partners in 2005. Based in Indianapolis, Engaging Solutions assists corporate clients to develop and implement strategies to “manage finances, community engagement, customer relations and control systems,” according to its website. 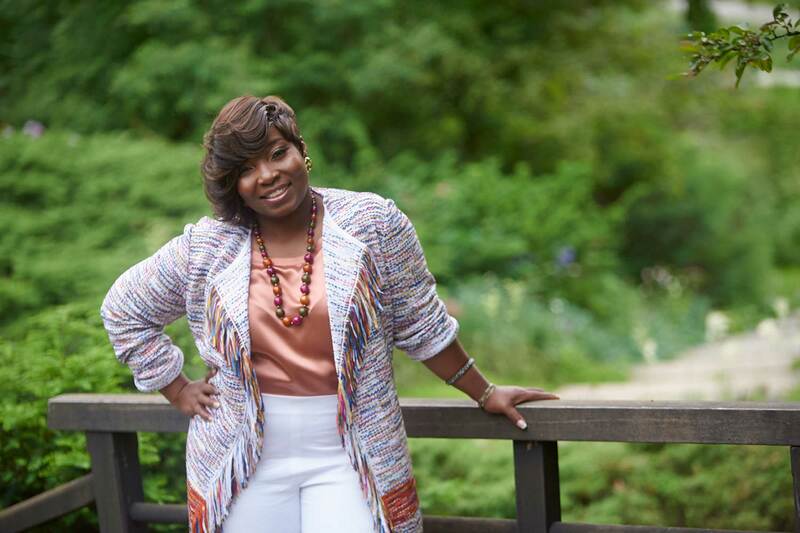 While serving as a managing partner at Engaging Solutions, she decided to join the Indianapolis chapter of the National Association of Women Business Owners. She was elected to a one-year term as president in June 2017. The Indianapolis chapter boasts nearly 200 members, making it the largest out of all 60 NAWBO groups across the U.S.
Butler Robinson remains busy, but she makes her sons her top priority by attending her 17-year-old son’s football games, her 16-year-old son’s track meets and parent-teacher conferences for both, on top of catching up with them at the end of the day. Planning out time also is a top issue for Lacy Crosier, owner of C&R Construction in Corydon. Beyond trying to spend time together as a family, she stays busy attending sporting events for her three active children. However, the busyness of raising a family inspired her to take on the only job that would allow her to make her own schedule: owning a company. It’s crucial to know who is watching after your children when you’re not around. This can be a costly headache when the children are too young to attend school. Butler Robinson remembers when she would trade school pick-up days with other parents and schedule babysitters. Her sister even moved to Indiana to help watch the boys when they were younger. Although her sons are old enough that they no longer need child care, she still sees it as a large issue for members of NAWBO with younger children. According to the USDA, child care and education are the third largest expenses for raising a child behind housing and food. Child care and education account for 16 percent of the estimated $12,980 annual cost, with expenses shifting slightly based on the child’s age. Finding reliable child care can be difficult for all parents, but it’s a large issue for women. Child care presents one of the largest barriers for women to join or re-enter the workforce after having a child, according to a 2017 report from the YWCA. For many women, especially women of color, working is not optional. White, Latino and Asian mothers of children three years old or younger participate in the workforce at about a 60 percent rate, while Black mothers participate at 70 percent, the YWCA report states. When the children’s age range increases to three to five years old, 80 percent of Black mothers have to work, while all others experience a small increase. Even if cost is not a barrier to child care, many parents are rightly cautious about whom they trust to watch after their child for hours at a time. Hampton considered himself very lucky that his boss encouraged him to bring his infant daughter to the office 14 years ago. Hampton was working full time back then, and his wife was studying for her master’s degree. They’d only recently moved to Jeffersonville when their daughter was born. Hampton had worked as a district sales manager, overseeing regions across the country for Claire’s and PacSun. The jobs garnered an excellent income but required him to travel a lot. 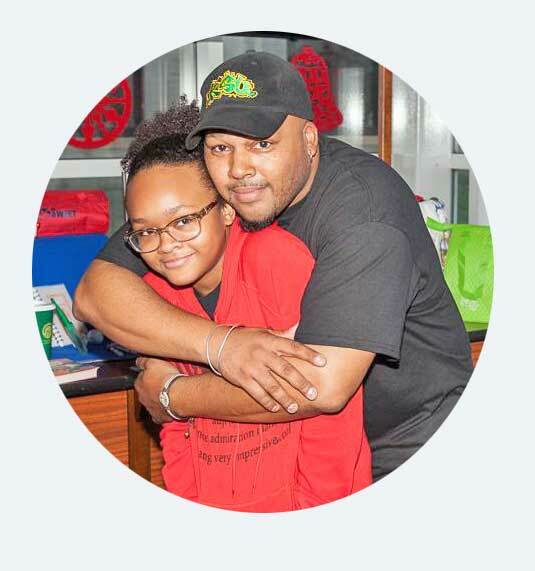 However, he was used to moving around frequently and with little certainty about where his family would end up; he was used to fighting for everything he had earned, and he wanted to give his daughter a better life. “My daughter should never have to experience being hungry as a child. My daughter should never have to experience being homeless as a child. These are things that I experienced, so a lot of my decisions are based on this as well,” he said. Hampton and his wife had been very intentional about wanting to have a child to raise and cherish. But when his boss invited him to bring his daughter to the office, he felt the full weight of what this meant. Once Hampton’s daughter was old enough, she stayed with a family friend during the days. Not long after, Hampton went into business for himself, founding F5 Enterprises in 2007. The company specializes in creative brand marketing, including everything from designing promotional products and advertisements to photography and videography to planning corporate dinners and 5K runs. “Everything I do going forward is really about my family, and that they should always be a part of it, and they should always be able to be a part of it, and if they’re not, then it may not be something I want to do,” he said. Even older children can cause a parent to miss work due to illness or special events, according to Crosier. As a parent, she has to put her children first, but C&R Construction can’t simply stop work on one of its concrete, asphalt paving and repair, bridge or culvert projects. This requires flexibility and identifying tasks that can be done outside normal work hours, such as doing the books on accounting software at home. Although parents want to give their kids a better life, it’s important not to focus only on the fun parts. Butler Robinson takes her sons to meetings, corporate events and makes sure they are involved in advocacy with her. It’s not that she doesn’t want to have fun together — because they do pretty regularly. However, Butler Robinson’s sons see how hard she works when they’re involved, and develop their own strong work ethics. This was how she learned, after all. She helped her grandmother with her drapery business, and watched her father and grandfather open their own companies. Hampton’s grandparents, immigrants from Panama, built their own small businesses. He believes working hard and keeping his daughter involved is another form of investing in her future. It’s also a way to ensure the growth of minority-owned businesses. Nearly 8 million businesses in the U.S. are minority owned in the U.S., equaling 28.7 percent of all business in the country, according to U.S. Census data. This represents a 38 percent increase from 2007 to 2012. In Indiana, there are 61,252 minority-owned businesses, equaling about 42 percent. It’s a benefit when children take ownership of the family business they grew up working at. They inherit experiences of the owners who led the business before them. This is especially important in communities of color because many business owners are often first-generation entrepreneurs, who learned the hard way without as many opportunities and with more restrictions, Hampton said. Being a business owner can be very difficult, but being a parent can make it easier to push forward. Of course, people don’t have to start a family in order to gain the drive to run a company, Crosier said. But if kids are the future, there’s something special about creating a future for them.